The bay faces south towards the Bristol Channel and is approximately 650 metres, at its widest point, with limestone cliffs on either side. Sand slopes gently to the sea, fringed by a shingle bank, at the high tide mark. A caravan park backs on to the Bay. The water quality sample point is located at the centre of the beach. Natural Resources Wales works with the local authority, Dwr Cymru Welsh Water and any privately permitted discharge consent holders to establish and resolve potential sources of pollution affecting water quality at Trecco Bay. Inspections are carried out by Natural Resources Wales in partnership with the local authority and the water company. These are carried out pre-season (before the 15th of May) and mid season if required (during the bathing water season). Storm sewer discharges at Irongate Point, Newton Point and Newton Bay can operate when heavy rainfall overwhelms the sewage system. This protects domestic properties in the catchment from being flooded by sewage and storm water during heavy rainfall. There are numerous storm outfalls that discharge to the river Ogmore and its tributaries near to Trecco Bay. Water quality in streams or rivers may decline after periods of heavy rain, when these discharges operate. A project known as Event Duration Monitoring (EDM) is underway to install telemetry on Combined Sewer Overflows (CSOs) within 2km of a bathing water by 2020 so that Dŵr Cymru Welsh Water (DCWW) know when the CSOs are operating and can work to reduce spills. One CSO near Trecco Bay Porthcawl is included in the project. Natural Resources Wales is pleased to be working closely with the newly formed Shards Regulation Environmental Health Team in the local authority to safeguard bathing water quality at Trecco Bay. Wrongly connected waste water pipes can affect the water quality of rivers and the sea. Natural Resources Wales is working with Dŵr Cymru Welsh Water and the local authority to trace waste water misconnections from household toilet and utility facilities, to the private and public surface water systems, discharging to the River Ogmore. Misconnection investigations have also been carried out at Newton Bay, just around the coast from Trecco, though no misconnections have been identified so far. Modern sewerage systems have two separate systems, one takes foul sewage to sewage treatment, the other takes rainwater runoff through surface water drains to rivers, lakes and the sea. Misconnections occur when waste water pipes are plumbed into surface water drains instead of the foul water sewerage system. This can give rise to pollution when the waste water is discharged directly to the environment through the surface water drain. For example, a washing machine or toilet may be incorrectly plumbed so that it discharges to the surface drain rather than the foul sewage drain. Misconnections can occur in any modern urban area. Streams are typically affected by sewage or industrial run off from further up the catchment. During and after periods of heavy rainfall, run off from agricultural and urban areas will be greatly increased. This bathing water is located close to the estuary of the River Ogmore. This has a large and varied catchment, which can be influenced by agricultural, urban and industrial areas. This may result in deterioration in bathing water quality at Trecco Bay following periods of heavy rainfall. Pen-y -Bont Wastewater Treatment Works discharges into the estuary of the River Ogmore approximately 4.5 kilometres to the east of Treco Bay. Disinfection through ultra-violet treatment, which is designed to reduce levels of bacteria in the final effluent, which will help to improve bathing water quality is used here. Pen-Y-Bont Treatment Works also has a storm outlet which, when operating during times of heavy rainfall, will discharge screened effluent into the River Ogmore. Natural Resources Wales samplers make visual observations of the beach at every visit. This includes assessments of sewage debris, animal faeces, litter and oil or tar. 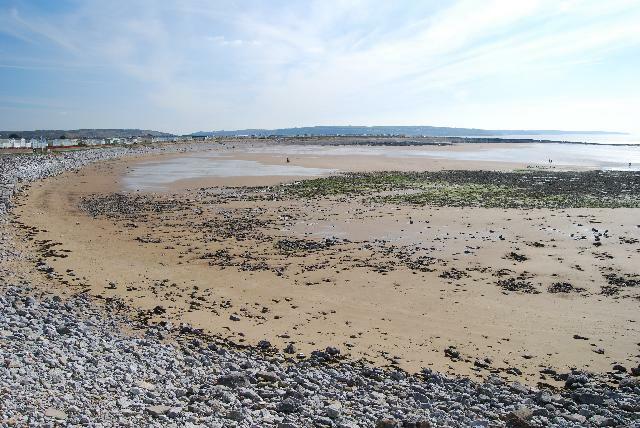 At Trecco Bay Porthcawl, data are available for the four year assessment period from 2014-2017. Sewage debris was observed in trace amounts on over thirty per cent of occasions and in greater amounts an additional twice. Trace amounts of animal faeces were noted at the site on a minority of occasions. Trace amounts of litter were observed at the bathing water the majority of the time and in greater amounts on less than ten per cent of occasions. Oil and tarry residues were not noted at this site. Natural Resources Wales continues to work with private owners regarding potential pollution sources to the bathing water. This work involves where necessary, advisory mail drops, dye tracing, misconnection surveys and general meetings with Trecco and Sandy Bay Management Group. Poorly maintained private sewage treatment facilities could be a source of pollution, therefore the registration of all qualifying private sewage systems in Wales was required by 30 June 2012. The primary aim of this exercise is to provide increased protection for the environment and sensitive features such as bathing water beaches. Where discharges from properties are identified in the catchment that are not on mains sewerage, Natural Resources Wales will endeavour to ensure registration has been made, unless already a permitted discharge. The natural drainage (hydrological) catchment surrounding the bathing water is highly diverse. The town of Bridgend is located in the lower catchment, with several small urban areas located along the tributaries of the River Ogmore. These areas are a mixture of residential and light industry. Further into the catchment, there are some forested areas and upland hill farming, predominantly sheep.